Invest More… Make More $$$. Whether you are a large company or a smaller company, taking your brand to the next level might be as simple as giving your customers a better experience. A decade before I became a marketing exec, I used to work for a major packaging manufacturer where I had the pleasure of working with execs from many verticals and develop packaging strategies for their business. I worked with large grocery chains, entertainment parks, major league stadiums, restaurant chains, and food distribution companies to build their business through packaging. This is known as the “power of the package”. What I mean by this is I learned about how powerful changing one simple thing like packaging can dramatically increase sales. Working with multiple verticals, I discovered that packaging was a major part of the business model and overall strategy. Did you know that Wendy’s, the restaurant chain, dramatically increased their sales of the Wendy’s salad and quickly became their number one money maker just by changing one thing, the bowl it was sold in? After Wendy’s had major success with what was known as “the Wendy’s bowl” in the packaging world, companies went to work to try to emulate similar bowls for their businesses without copying the exact dimensions. Back then, it seemed everyone had a “salad” deal and new salad bowl in the fast food industry marketing heavily on salad promos. I want to share a story with you about a local restaurant company you may have heard of called, Flame Broiler. Flame Broiler sauce and beef marinade, the first The Flame Broiler known as “The Rice Bowl King” restaurant opened in 1995 in Fullerton, California. Young Lee, the founder, set out to create a better, healthier alternative to the fast food he had to choose from on the road. 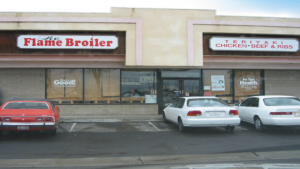 This led him to open the first The Flame Broiler Restaurant, which served simple, delicious, healthy, Korean style fast food all without dairy, trans-fat, frying and skin. Although Mr. Lee’s friendly staff was serving delicious food and sales were great, he quickly realized he needed to add an edge to his company to take it to the next level. This was around the time I met Mr. Lee in 2002. We hit it off immediately and quickly began strategy meetings to come up with a new bowl for his beef marinade rice bowl. Everyone loved the food but his presentation needed to improve. This new bowl would become the “Rice Bowl King’s” new benchmark packaging that the customer would grow to love. 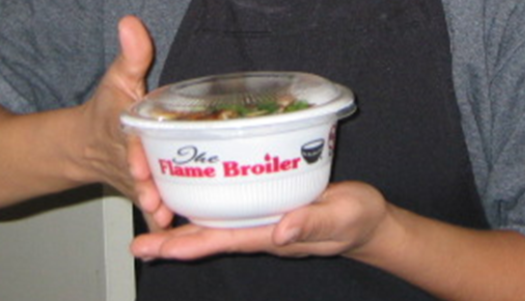 1 – The bowl had to fit nicely in the hands of the customer while they were enjoying their delicious meals. 2 – The bowl needed to be insulated as the foam bowl currently used was not insulated that well. 3 – The bowl had to be environmentally friendly and recyclable as well as insulated. 4 – The bowl needed a lid to fit firmly to transport but easy to remove when customers were ready to eat. 5 – The bowl needed to set their brand apart with a bold version of his logo right on the bowl. 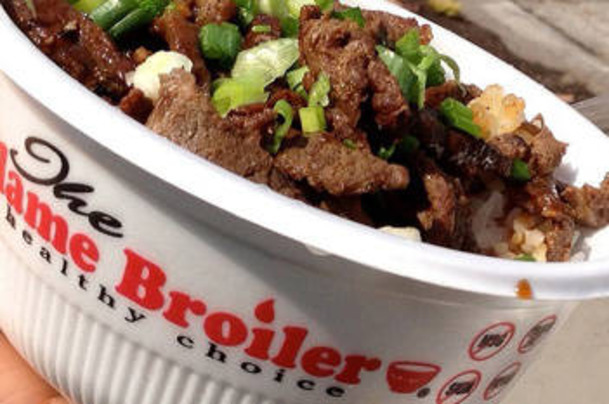 6 – Roll out Marketing Campaign around the New Beef Bowl Meal. 1 – Marketing small chain with consistent branding leading to growth for franchise locations and streamlining his systems consistent with the new packaging. 2 – Presented forecasts for increase sales with name exposure, bowl re-packaging re-alignment, and branding. 3 – Presented stronger bowl and superior lid fit for overall improved customer experience. It doesn’t matter which vertical you are in, consumers will notice if a business does the bare minimum. It is so easy to tell by such things as their décor, marketing, service, staff training, packaging, website experience, mobile site experience, takeout containers, furniture, knowledge, lack of extras, lack of promos, lack of loyalty programs or even simple courtesy items like a cold water cooler in 90F degree weather for thirsty customers. If you own any type of product based business and are looking for that extra edge try to find the perfect packaging for your product, it could be the difference between selling a little to selling a lot. Remember, if you take care of the little things and the big picture will take care of itself. When you put that extra effort into your business experience for your customers, it speaks volumes that you genuinely care about their entire experience from start to finish; thereby, ultimately building that loyalty you are looking for.